You are thinking of getting a divorce, or maybe the case has already started. It is natural that the thing that you will worry about, second only behind thinking of your kids (if applicable), is the money. Of course, you have to think of the money! This does not make you a money monger or a bad person. You have to survive, pay for gas, water– life’s bills. Before you file the divorce, you might feel like hoarding some money away from your spouse to hire a lawyer. You might feel like freezing accounts, or you might worry that he will. So, let’s discuss this. With this page, I hope to teach you about the rules to lesson some of your fears, and to prepare you strategically for what’s next. But, this is just a webpage from a lawyer—This is only general advice, which cannot supplant the advice of a lawyer who has the benefit of hearing about your individual case. This advice is a lot like getting a diagnosis from the web. The couple shown in the below gifographic was illustrated by tutticonfetti.com, and are displayed with her express written permission. Gifographic is copyrighted by Cook & Cook Law Firm in 2015, All rights reserved. 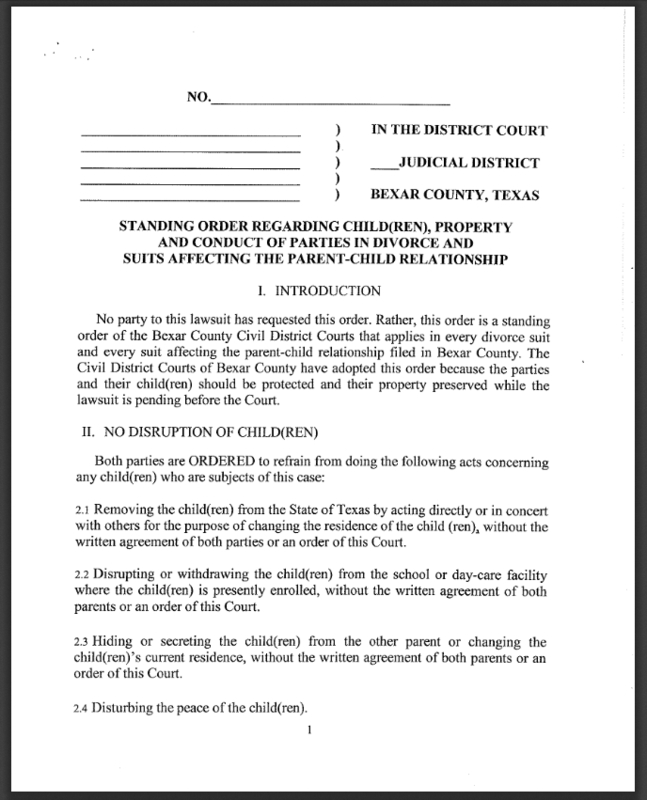 In Bexar County, Texas there is something called a “Standing Order Regarding Children, Property And Conduct of the Parties in Divorce and Suits Affecting the Parent-Child Relationship.” This order has been signed by all of the civil district clerk judges, and lists a number of local rules pertaining to you AND your spouse during your divorce. You are not allowed to destroy, remove, encumber, transfer or reduce the value of property of either or both spouses. You are not allowed to sell, or transfer any property of yourself or your spouse during the divorce, including that you are not allowed to sell real property. You are also not allowed to take on any new debts, OTHER THAN LEGAL FEES FOR YOUR DIVORCE, except to operate in the normal course of your life. You are not allowed to spend money, except in the normal course of life such as paying the water bill. 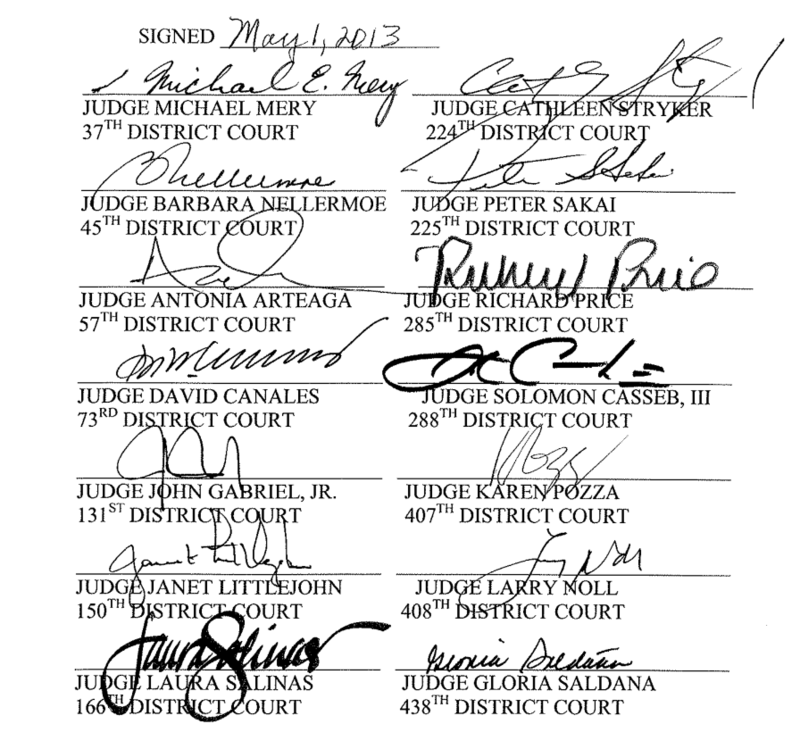 You are not allowed to sign the other party’s name on any documents. You are not allowed to take any action to limit credit or charge cards in the name of the other. You are not allowed to take control of the other spouse’s vehicle. You are not allowed to stop the service of water, electricity, gas, phone, cable, or other similar monthly bills services at the residence of the other party. You are not allowed to lock the other spouse out of the house. What All of This Means is: Your husband or wife is not allowed to freeze you out, or stop the utilities. You have a right to continue living in your house, and driving your car. Your spouse is not allowed to bully you. 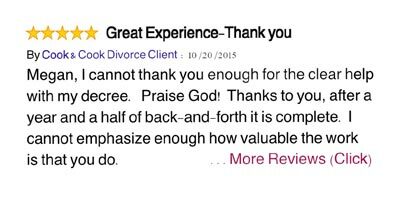 You are not allowed to punish your spouse for filing divorce by wasting money or taking out loans. What Happens if Your Spouse Breaks the Rules: If your spouse violates the rules by taking your car, locking you out of the house, freezing you out of your credit cards, or moving the money, then you need a temporary court order. Your lawyer will present evidence that your spouse did that, and the Judge will order your spouse to give back the car, let you back in the house, and let you continue to use your credit cards. What Happens if Your Spouse Wastes Money That He Cannot Pay Back: If your spouse decides to violate the rules, then you can sue him/her and take legal action such as garnishing his or her wages until the money is paid back. What Happens if You Can’t Afford a Lawyer: You need to get a lawyer, and if you do not have the ability to pay one, you should take a loan from a family member or take a personal loan in order to see that this happens. Because you are allowed to use martial funds for divorce lawyers in Bexar County, if absolutely necessary you can save up for a lawyer discreetly in your own account, and expend the marital funds on a lawyer, without getting in trouble. Typically, you will need as low as $2,500 and as much as $5000 to start a case with a lawyer in Bexar County, Texas. As a general rule, you do not want to shop for cheap lawyers, as this will set you up to lose (my opinion).  Need a divorce lawyer in San Antonio, Texas? 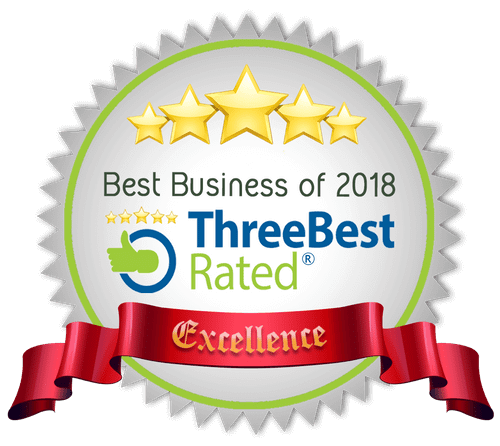 Call us today (210) 271-2800. 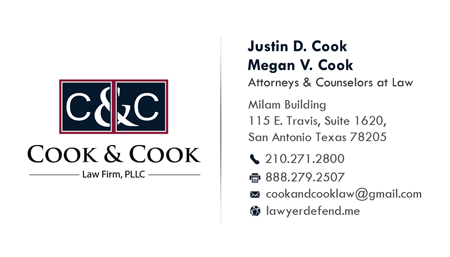 Attorney Megan Cook manages all of the family law cases at Cook & Cook. In 2015, she handled over 100 divorce cases. She would be honored to assist you!